Week 2 is just around the corner, so it’s time to pick a captain again. There were definitely some disappointments last week and some of the normal go to picks are not playing this week. But, I’ve still thrown together a list of some players who I think can put up good numbers this week. Keep reading to see who they are. Zusi had a great opening game last week against Philly grabbing 1 goal, 1 assist, and several attacking and defending bonus points. His effort was enough to tie for 2nd highest points in week 1. Kanasas City plays Toronto this week and I think managers can expect another good performance from Zusi. Philidelphia may have lost last week but it was not due to a lack of effort from Le Toux. His goal earned him credit as the highest scorer for Philly in week 1. They will play away at Colorado this week and there is the opportunity for him to get another goal. Especially is Colorado’s starting keeper is still on the bench. A big opening goal was great reward for all those who captained Higuain last week (even though Josh Williams grabbed 5 more points) but Vancouver should be more challenging than Chivas. Still, they were only able to beat Toronto by 1 goal. Higuain has good players around him who are capable of creating opportunities, and I think this still makes him a good option. Or should we call him, Captain Disappointment? 8 shots, 1 on goal, and 1 point was not what people expected from the 2012 golden boot winner. Still, San Jose was able to attack even with the loss of several key players. The Ney York game will be one where Wondo will be hungry to score and the shaky Red Bulls defense could give him that opportunity. Espindola was definitely the forward who stole the show for New York in week 1 by grabbing 2 of the 3 goals. If you want an option that is less expensive than the $10.5 henry, this is your guy. The San Jose defense should be a better challenge than Portland’s but there are cracks that can be exploited and Espindola will be looking to do just that. Portland came out swinging in week one and Valeri provide that he will be a key part of the Portland offense this season. He had provided great service to his teammates and grabbed a goal for himself. Montreal should be an easier game than New York was and if Portland and Valeri continues their momentum, it should be another good game. The 1-0 Dallas victory was not as impressive as I hoped it would be. Jackson scored the one goal, but that was due to a HUGE error by the Colorado keeper. But, Jackson kept the pressure on with a few more good shots and several crosses and key passes. He’s definitely a creative player that has the ability to not only set up players like Cooper but also score. They are playing Chivas, so more good opportunities for points can be expected this week. He’s going in hot and playing against a Toronto team that does not seem to have improved a lot from last season yet. An impressive performance last week and playing against a Chivas team that is still struggling with its new identity gives him great potential for points. How many games can this guy have that are not impressive? 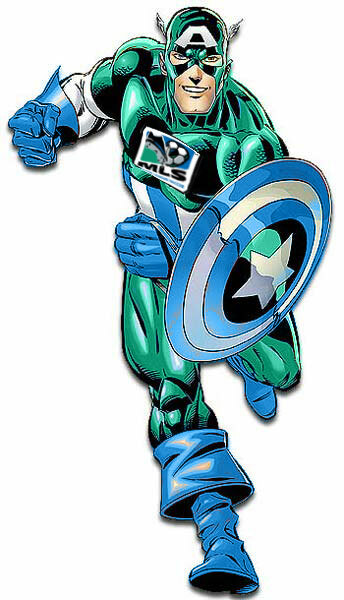 I think Wondo will rebound for the game against New York. Vancouver will be a better test for the Crew to see how the changes they made in the off season will pay off. So have you made any transfers for this week? What does your team look like? One transfer. Working on the post tonight. Great Kentucky! I am following your insights and team closely…you know what you are talking about! I loved your team last week, with the only small negative your bench. And this week that bench will be needed. Did not have to dip into it more than expected this week. Kentucky, when are you going to post your team? Sorry, forgot to set the auto post time.